The 5th edition of the Garden City Advancement Award was a huge success. It will be recorded as one of the classiest events held in Rivers state in recent times. 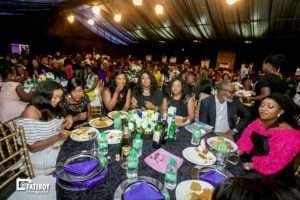 The event which held on the 3rd of November at Aztech Arcum had in attendance over a thousand of the crème de le crème of the society, guests and award recipients alike. The evening was laced with a diner and entertainment from fine comedians, musicians and cultural troupe. Some of the artiste include: Kevin Sapp, Czar, Forever James, Payo G, Legendary Suni, Owenbe Cultural Troupe, Akpan Okon, Graciano, Benjizzy, Davesax, among others.